Roger Brook - the no dig gardener: How significant are soil bacteria to the gardener? How significant are soil bacteria to the gardener? Just let them get on with their lives! I had intended to put this post in my ‘myth’ series and wanted to decry the promotion of organic fertilisers as being beneficial because they encourage bacteria. I found myself in some difficulty! How could I say that bacteria are hugely significant to the life of the soil and yet most things the gardener might consciously do to promote them be irrelevant? In the case of many fertilisers, they do have an effect on specific bacteria, it’s just that the overall benefit on the health of the soil is small and inconsequential. Any organic material added to the garden is food for bacteria. Nitrogenous organic fertiliser will stimulate those bacteria that degrade the fertiliser and beneficially make soluble its nutrient content. Although I do not generally recommend organic fertilisers, I admit they are of horticultural value in that they supply nutrients - my issue is that the fact that bacteria are involved in nutrient release is quite incidental and not a reason to buy them. 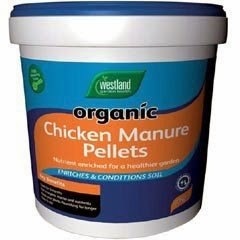 Farmyard manure is the very best bulky organic material to add to your soil. Because there is a lot of it, it will significantly increase soil bacterial action. Fertiliser is quite different to bulky organic soil additives which are often described in the UK, not with strict accuracy, as ‘manures’. Unlike bulky organic additives, fertiliser is a concentrated source of nutrients and is applied to the soil in very small quantities. 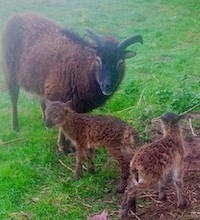 Dried blood, bonemeal, fishmeal and seaweed extracts are examples of organic fertilisers. Poultry droppings, although strictly a manure if you define ‘manure’ on the basis that it comes out of the back end of an animal, is best treated as a fertiliser because of its lack of bulk and exceedingly high nitrogen content. 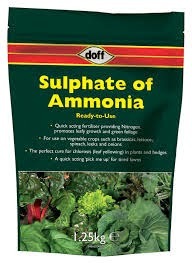 Sulphate of ammonia, sulphate of potash and growmore are examples of inorganic fertilisers. They also effect soil bacteria when for example, ammonium fertilisers are converted by bacteria to nitrate. When sulphate of ammonia is added to the soil, bacteria convert the ammonium to nitrate and and slightly acidify the soil in the process. In addition the sulphate content has an acidifying action. On my lawn I regard these effects as a very good thing! 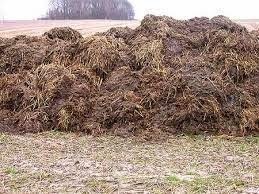 Bulky organics such as horse and cow manure, garden compost or ‘leaf mould’ are by definition both organic and bulky and do have substantial effects on soil bacteria. We add such ‘manures’ to the soil for many reasons including plant nutrition but perhaps most importantly for their physical effects on soil structure. It is a moot point whether their undoubted considerable effect on bacteria is a significant reason to chose them. Bacterial myths the Canadian way. Robert Pavlis writes a very fine blog about gardening myths. He has been doing a series on soil organisms which includes references to flagrant claims in advertisements for organic fertilisers being beneficial because they encourage bacteria. 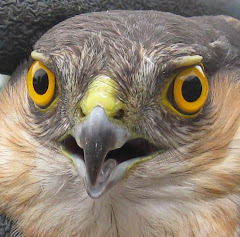 He gives many excellent references to real scientific research to support his conclusions. You might like to read them. Am I just out of touch or are Canadian and US citizens more gullible than we are? Perhaps their advertising is even more cynical than our own. Apparently over the pond you can buy bacteria to add to your soil! How pointless! No real gardener would use them. This is a very useful bacteria that you can buy in France. It is not a soil bacteria but is a very effective bacterial disease of caterpillars that you can spray on your brassicas. I will pluck up courage to write about it one day! There are many ways to convey the magnitude of the presence of soil bacteria. Not only are they not very accurate they are likely to change with the next piece of research. I can’t quite believe that the mathematical progression of a single bacteria surging to 16 million in 24 hours is actually true! I find it easier to believe that the weight of bacteria in an acre of typical soil weigh as much as two cows! Of course if you go deeper, to perhaps more than a mile you, will find that half of the world’s biomass is bacterial! I do find it impressive that there might be a billion bacteria in a single gram of soil and that hundreds of thousands may be different species. The real message to a gardener is that there is a huge number of soil bacteria and they reproduce very quickly and their numbers dependent on changing conditions may grow or decline by several orders of magnitude within just a few hours. So much for any thought of adding a few from a packet - and anyway they may not be the right ones! Certain bacteria are essential for soil fertility. In contrast a few are actually plant diseases. One of the most significant bacterial pathogens is agrobacterium which can induce galls and tumours on plants by horizontal gene transfer! Most of the huge number of bacteria in a soil are quite insignificant to the gardener. Perhaps this is untrue in that the good, bad and indifferent may compete together for resources in biocidal combat. Some that seemingly have no known useful function may do so in the future. Examples of factors that massively and speedily effect bacterial numbers are soil temperature, aeration, drainage, pH, availability of water and carbonaceous material. These are the ones you will learn about if you study soil science. Ammonifying bacteria. These convert organic forms of nitrogen into inorganic ammonium. This fundamental process in the nitrogen cycle is known as mineralization. Nitrifying bacteria. These convert inorganic ammonium in a two stage process, first to nitrite and then on to nitrate. Free living nitrogen fixing bacteria act directly in the soil. They are not very significant in UK soils. Denitrifying bacteria. These are associated with anaerobic waterlogged conditions and lead to polluting loss of nitrogenous gases to the atmosphere. Thermophilic bacteria. These bacteria of decay can heat up a compost heap. Although desirable, they are not essential to the composting process. Actinomycetes. These bacteria have characteristics of fungi - such as reproducing from spores. They are significant in the breakdown of tough chemicals such as lignin and cellulose. Cyanobacteria. These green photosynthesising and nitrogen fixing bacteria are of huge worldwide significance but are not commonly found in temperate soils. They also have an almost unique ability to ‘mop up’ high levels of nitrate from water. One to watch for the future! Soil cultivation will aerate the soil, but not necessarily in the way you might wish. Aerobic bacteria will increase, which in turn increases the speed of breakdown of organic matter. For the gardener this conflicts the competing needs of release of nutrients and maintaining organic resource. The other side of this coin is that the better pattern of oxygenation which results from minimum cultivation will usually lead to the highest bacterial populations yet retaining higher levels of organic matter. Good composting occurs when bacterial action is maintained by heat retention, sufficient nitrogen and application of lime. Because temperatures have a fundamental effect on bacterial action, soil in winter will have next to no nitrate available to plants. In contrast a nitrate analysis in late summer will show greatly enhanced levels. It’s more important how fertiliser practice is effected by bacteria rather than how fertiliser practice effects bacteria! Thirty years ago growers would sometimes apply the systemic fungicide called Benlate as a soil drench. It was noticed each time it was used that its action diminished. It turned out that a soil bacteria could use the fungicide as a food and with each application the bacterial population population increased and gobbled up the fungicide. In a similar vein, growers and farmers were permitted to dispose of washed out empty pesticide containers by burial. It was recommended that the holes were not too deep. Soil bacteria that degrade the chemical residues are far more numerous near the surface. Thirty years ago it was routine practice for glasshouse growers to steam sterilise the soil. This was primarily for soil pest and disease control. Most, but not all of the bacteria were also killed. In the absence of competition the first bacteria to colonise back - and without competition in greater numbers than before - were those bacteria that release soluble nutrients. The effect of planting in still warm soil with an increasing level of available nutrients over the first few weeks of the crop was highly valued by growers. 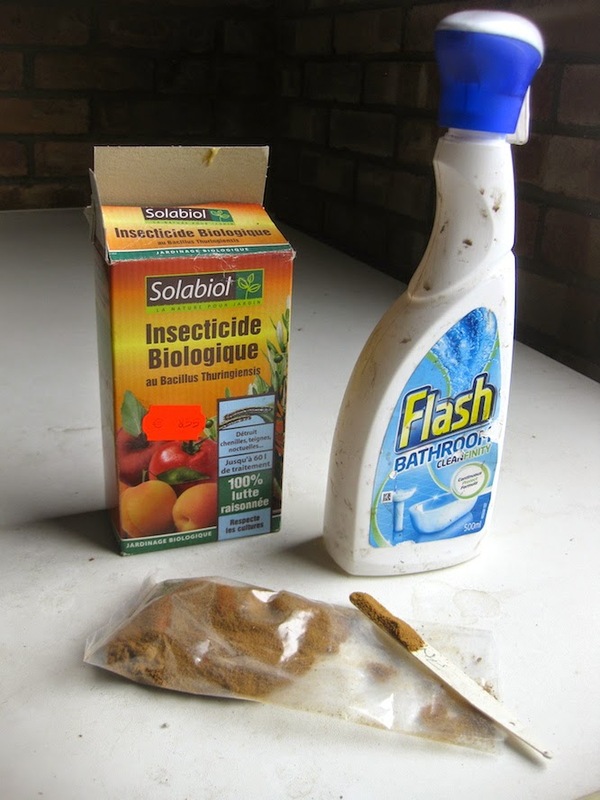 And I am sorry to spoil the party, but my beloved glyphosate has biocidal properties! In terms of how I use this herbicide the effect is insignificant! On the brighter side it is now starting to be thought that a child’s exposure to soil and other outdoor bacteria greatly reduce future sensitivity to allergies. Microbiologist and maestro gardener Peter Williams played a very significant part in the greening of Northern coal mining slag heaps thirty years ago. An important aspect of their restoration was the use of huge quantities of lime. A bacteria called thiobacillus acts on iron pyrites in the coal waste to release sulphates which form sulphuric acid. The acidity of the slag can become as low as a a remarkable pH 1.5! The most acid you will ever find a real soil is a very rare pH 3.5. Peter tells me that in the reclamation they used lime at 200 ton per acre every two years. He remarked that a farmer might use lime at 10 tons per acre once in his lifetime! When they applied lime the colliery waste fizzed! He went on to tell me that on a similar site in Wales when land engineers used concrete drains, to their surprise and consternation within a year they had dissolved away. I hope the above arguments help to persuade you that gardeners should carry on with good gardening and forget about the bacteria. They will look after themselves! Yesterday morning I discussed this post with Peter W. and the futility off adding bacteria to the soil. The conversation turned to adding mycorrhizal fungal spores from a packet! Mycorrhiza are of course fungi and not bacteria. As I have posted before mycorrhiza are highly beneficial and sometimes essential. I have previously shown doubt about adding them from a packet. Peter is a fine microbiologist with a special interest in mycorrhiza. He has been talking to colleagues even more knowledgable about fungi than he! After our conversation this morning I now feel emboldened to offer our opinion that adding spores from a packet is a complete waste of time. Do you know I have never really thought of soil bacteria just they it is there! Interestingly the last lot of roses I had delivered cam with a packet of mycorrhizal fungal spores. Chris Beardshaw on Beechgrove was explaining why it was used and it sounded convincing, Do you mean that there is sufficient naturally in the soil anyway? Absolutely! One expert conceded that if you were growing in pure sand it might help! Yes spores and live innoculum in much greater quantity and range than in any packet is present in any soil. The way you garden does effect them. I put my name down for minimum soil disturbance. Anything that supplies nutrients whether fertiliser or rich manures inhibit them - I have blogged on how they achieve extra significance in nature. gardener' activities tend to inhibit them! Sounds a bit weird Gazmark! Not only would this very reactive chemical kill bacteria it would oxidise away your organic matter directly! I suppose your guy thought it might be some kind of soil sterilant against pest and disease. Pretty potty I think. I assume that the bacteria close to the surface select themselves out to be aerobic, whereas those deeper down will be selected to be anaerobic. This might be too simplistic but if it is true, digging will bring anaerobes to the surface and exposed to oxygen rich air while the aerobes will be buried deeper with less oxygen for them. Perhaps this is good justification for "no dig gardening". I imagine your first assumption to be often correct and your logic sounds plausible David. I guess the populations adjust fairly quickly, although the very process of digging will in the short term aerate the deeper profile. I shall ponder this overnight! Thanks for the plug for my blog. You made the following comment about what I said "flagrant claims in advertisements for organic fertilisers being beneficial because they encourage bacteria". I don't have a problem with products claiming they encourage bacteria - all organic material will do that. My problem is with products that claim they add useful bacterias to soil. As you correctly point out, soil already has huge quantities of bacteria and adding more is worthless. Sorry if I have misrepresented your opinion Robert and thanks for pointing it out. I think part of any disagreement between us is in that I think over the pond gardeners don't differentiate between bulky manure and fertilisers. Indeed many don't over here and use the terms synonymously. We are clearly in agreement in relation to to the futility of adding bacteria to the soil from a packet. Bulky manures on the other hand do significantly increase soil bacterial activity. I sit on the fence as to whether among the many good reasons for using manure this reason is worthy of consideration! A good read as always Roger, way back when I was taught that compost heaps were broken down by anaerobic bacteria and your reference to this prompts me to ask a question, if parts of the planted garden are regularly under water for short periods as a result of heavy rain coupled with a high water-table during the winter, how does this fit in with the doctrine of "no-dig" would you dig or fork over the soil to aerate it or would you leave it, there is no way these areas are going to be drained any time soon. I would be genuinely interested to hear your opinion on this. The lower half of my own garden behaves in this way Rick. Several feet of sand overly clay and in wet periods and in a wet winter the water table rises as the clay acts as an impenetrable basin. No doubt at depth anaerobic bacteria become more active but aerobic ones return quickly when oxygen starts to become available again. The soil has its natural delivery system for oxygen through all the spaces and channels. It is the result on the plants rather than the bacteria that concerns me Rick. Deep root can die, especially in winter, when the wetness is prolonged (lack of oxygen is much more dangerous in summer by the way - its just that it occurs less often). Lack of oxygen kills roots. The problem is compounded when anaerobic bacteria produce natural toxins which are unable to dissipate. In these conditions surface roots growing in aerobic conditions are the plant’s lifeline and are the difference to the plant between life and death! Damaging by forking is the WORSE THING you can do! If you think about it - and I know you question things as I do Rick, if you fork into the water table any spaces just fill with water. I sometime dig holes to bury newspaper in winter and the hole fills up almost before I can get my two months supply of wads in! Soils with these sorts of problems will usually have some forms of natural and/or artificial drainage and eventually drain – but unfortunately sometimes too slowly. Natural drying by evaporation takes place when water wicks to the surface. Forking will interfere with such movement. Forking wet soil to aerate it is the worst thing you can do! Many thanks for your in-depth reply Roger, as it turns out I am doing the right thing by leaving well alone. Very comprehensive. I have added dried blood, bonemeal, fishmeal and seaweed extracts through the years, but now it is mostly manures and compost. I do it for plant nutrition and soil structure. I think the plants tell a gardener quickly what is missing. You mentioned poor drainage and that is by far the worse thing to happen in a garden or even around a home. You are right Donna that the plants tell you all you need to know- as long a you can understand them. I know as a master gardener you can. I have never had my soil analysed and only did a pH test as I had some spare kits from a gardening class I gave.